This is a short follow up to yesterday’s post. While having a glorious time in ol’ Ojai, my friend Danielle found us this lovely little vegan gem of a cafe. Danielle is an omnivore, but she was more than happy to go vegan for the day on my behalf, which I totes appreciate! Anyhow, Hip was yummy. Nothing too grand, just sandwiches and wraps etc, but it really hit the spot after an amazing, but long day of exploring. I ended up ordering The Flashback sandwich, which was delicious and full of creamy avocados, but wasn’t very photogenic so no picture of that bad boy. Danielle ordered the Ultimate Burger with juicy tempeh and seemed to enjoy it. Looks good huh?!? 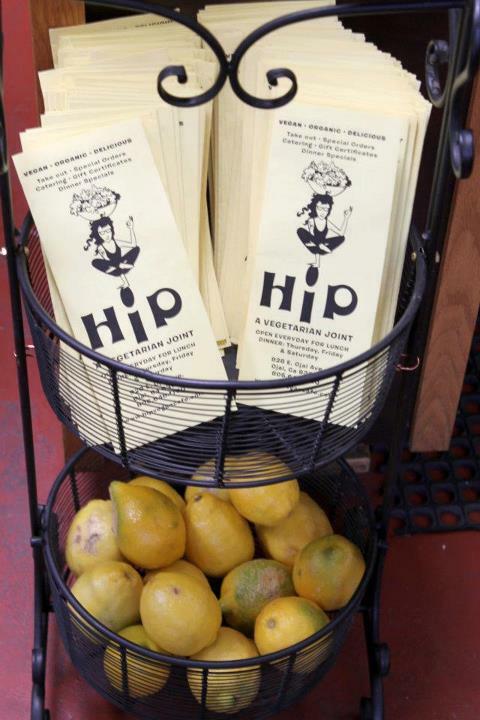 So, if you’re ever going by way of Ojai and need a healthy and/or vegan lunch, hit up Hip! The burger looks drool worthy. Yum! 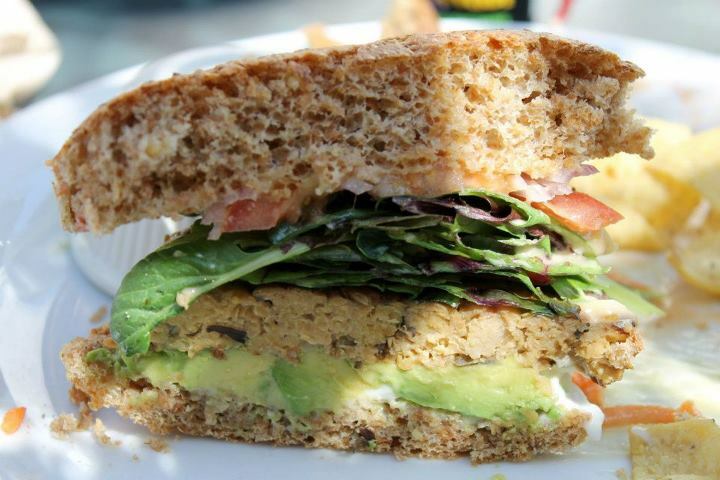 It’s so wonderful to have a vegan restaurant in Ojai! I love their smoothies and salads!